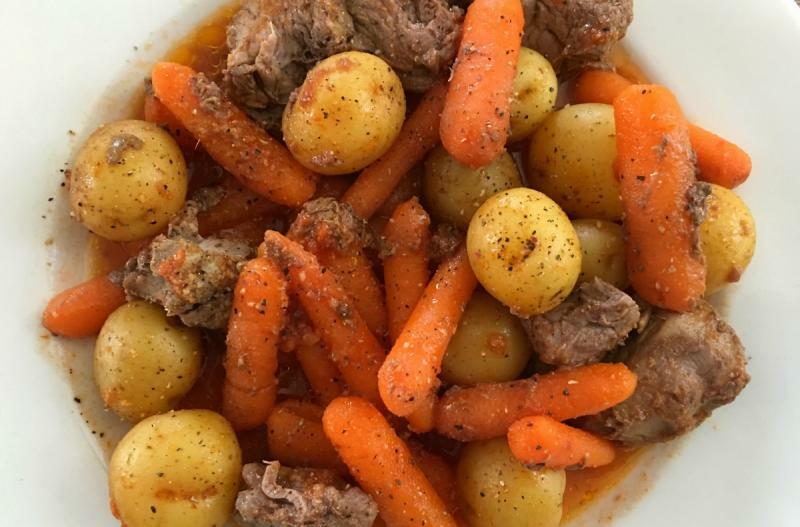 Beef Stew is so simple when prepared in these perfect foil packs! Set up 4 large pieces of foil. 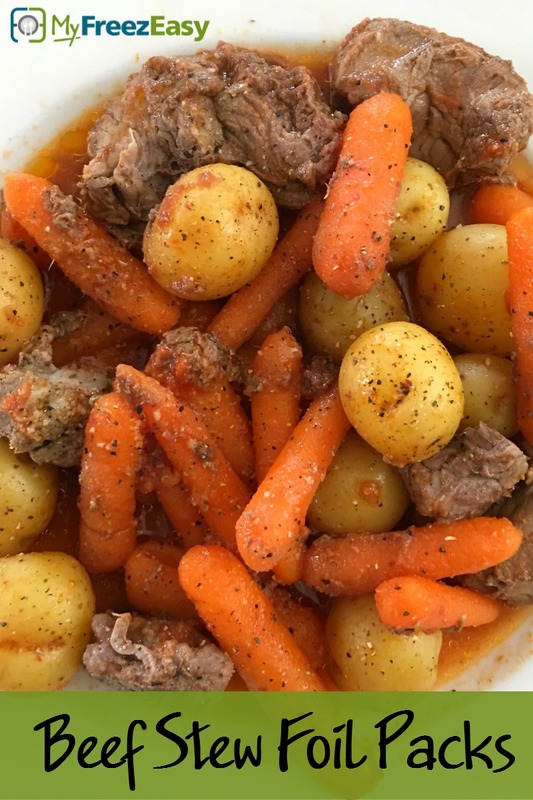 Evenly divide the stew beef onto each piece of foil, then evenly divide the baby potatoes and baby carrots onto the foil pieces. Wrap each piece of foil partially around the ingredients. Evenly divide the tomato sauce and pour over each foil pack. Add 1/2 Tbsp pad of butter on top, followed by a pinch of minced garlic. Sprinkle each pack with salt and pepper. Wrap tightly and place on baking sheet. Bake in the preheated oven for 50 to 60 minutes, or until beef is cooked through and potatoes are softened. Serve Beef Stew Foil Packs with dinner rolls. Wrap foil tightly around the beef and veggies. Place packs into a gallon-size plastic freezer baggies. Add label to baggie and freeze. Visit https://myfreezeasy.com/how-to-cook-the-grill-foil-packs-if-you-dont-have-a-grill/ for more info on foil packs. Omit the butter for dairy-free. Recipe is gluten-free when you serve with a gluten-free side or omit dinner rolls. Thaw beef and veggies completely. Bake at 400 F for 50 to 60 minutes, or until beef is cooked through and potatoes are softened.